The structure of the habitat is usually crucial for growth and survival of young life stages. Presently, some nursery areas of fish larvae are changing due to eutrophication, e.g. due to enhanced growth of ephemeral filamentous algae at the expense of perennial species. We studied the influence of two habitats, one with filamentous algae (Cladophora glomerata) and the other with bladder wrack (Fucus vesiculosus), on habitat choice of pike larvae (Esox lucius) in the absence/presence of a predator or a competitor. We further tested whether the habitat choice is adaptive in increasing survival under predation threat. In contrast to expectations, pike larvae preferred the habitat with ephemeral filamentous algae to the bladder wrack, thriving in clean waters, independent of the presence/absence of both predator/competitor. In addition, the survival of the larvae was higher in the filamentous algae in the presence of predators, which suggested that the habitat preference of the larvae was adaptive. 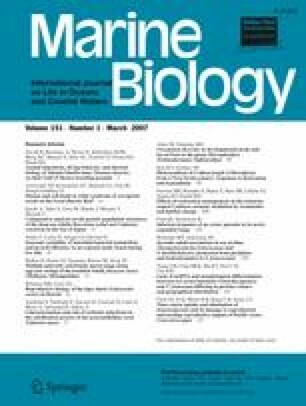 The structure of the bladderwrack habitat was probably too open for newly hatched larvae, which implies that F. vesiculosus and other large brown algae are not as important refuges for young larvae as previously thought. We wish to thank two reviewers for valuable comments on the manuscript. H. Strandberg gave us the pike larvae. M. Lehtiniemi taught us stomach analysis. M. Viitasalo purchased the fish tanks. A.-M. Åström weighed the algae. M. Öst showed us how to use the condition index and helped with statistical issues. J. Lindeberg was responsible for animal care. Tvärminne Zoological Station provided working facilities and accommodation. We greatly acknowledge funding from the Academy of Finland (to J.E.-Ö.) (project no. 202382), and Walter and Andrée de Nottbeck Foundation (to E.I.). The experiments comply with current laws of Finland. Animal welfare was respected during all stages of the study. Permission (no. 69–04) was granted by the Animal Care Committee at the University of Helsinki, Finland.